It’s hard to believe that the first year of my internship is nearly finished! It has been a quick year and I’m amazed at how much has happened. In my reading program (which this post will focus on) I have read the entire New Testament, and almost 20 books and essays on theology! I had originally planned on posting on each book, but I fell behind on that quickly, so I hope in the year to come I will do much much better. This past month I read a book that covered a difficult topic, that of The Theology of Suffering and how God can allow us to suffer. The book is written by a woman, Joni Eareckson Tada, who has lost control or completely lost all of her limbs. She does an excellent job describing how God can allow suffering to take place, how suffering can be used for good, and how she has been able to find usefulness in her suffering and in others and how suffering actually opens doors that would not have been opened in any other way. For me, this book has helped me become more reflective of myself and my own suffering (or lack there of). This happened because I have never really felt like I have suffered. There were times where I had few friends, where I felt lonely, times of romantic angst that lead to sadness or depression. But I have never thought of those things as things that are true suffering. I have perfect vision, my hearing is selective but good, I can walk, talk, and breath on my own. I have never suffered from a serious injury and I never have been seriously ill or had any serious operations. For me I think that I’ve always believed that suffering is around because God has a plan and purpose that involves people to suffer at times and though in the moment we think of them as bad or evil (and they are in the sense that they are a product of the fall) but in the end we are often thankful for them because we can look back and see how God used it to change us in ways that we never would have otherwise. I even believe(d) that God is truly saddened by the suffering of his people and by the sins of the world, that God in fact weeps for the suffering of the world. But I have never thought about if God weeps for me because I didn’t have friends, that I felt disconnecting from the world, or that I thought that I would never get married because I would never date a girl. Even in the moment of these “terrible things” I knew that they were temporary and that I would move on and make friends, that I would find a girlfriend and later get married (wedding is in a year! ), and that I would feel connected to the world and the church. So I never thought God cared much, that he was saddened by these things as well as “real” suffering. The thing is, all things that are a product of the fall are forms of suffering. Pain, sorrow, sickness, death, ect. They are all forms of suffering and they all matter to God and all are used by God to the eternal benefit of his people. Some of those purposes are large scale and some small. You broke up with that girl because if you didn’t you wouldn’t be content with living somewhere else in the world that she was not around and while living there you would have that conversation with that person who later become a pastor shepherding hundreds of people. Or if you lose the ability to move your own body, that some might come to Christ through your continued devotion to the Lord despite your circumstances. Or even more, that you might be drawn closer to Him yourself through these things. This all is suffering and the only proper response is to draw closer to the Lord. These thoughts are a bit scattered as I am still forming them, but I hope that as I am growing through them and drawing closer to the Lord in my suffering, you too may be encourage in them. When you suffer God is there weeping there with you. For more up to date on the ministry at BSU Click Here! 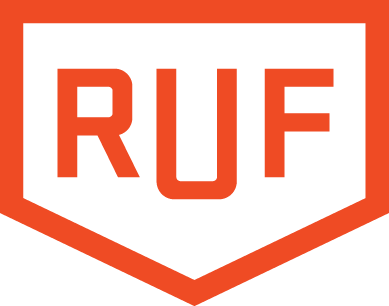 As Always we are in need of both Monthly support and one time gifts to keep the ministry of RUF at BSU running. Give now HERE!